Interview: Lauv on his upcoming tour, album, and love. Ari Leff, better known as Lauv, has created some of the biggest earworms of 2017 - from his platinum single ‘I Like Me Better’, to his work on Charli XCX’s catchy and obsessive ’Boys’ - and the 23-year-old is only just getting started. 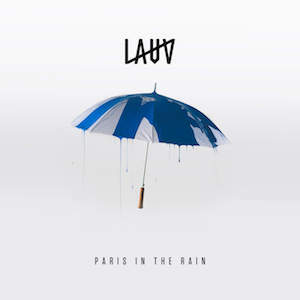 With his ‘I Met You When I Was 18’ Spotify playlist working as a chronological narrative, and the latest addition ‘Paris In The Rain’ having just being released, Lauv’s story continues to grow from week to week. And having just announced his debut New Zealand show for next March, we’re going to be lucky enough to see him live before he blows up even more. You have to trust the way you feel, sometimes even if that feeling tells you to do something that’s a little bit hard. COUP DE MAIN: Very important question: How excited are you to come play a show in New Zealand for the first time ever? ARI LEFF - LAUV: I’ve never been there before (but actually I’m going to be going because my cousin is getting married at the end of this year), so I'm really excited to come play for the first time and meet my fans! I’m so excited. CDM: I really love your song 'Easy Love' - what was running through your mind while writing that song? CDM: It touches on the concept of love really well, you sing that you, “Don’t want no easy love.” Do you think that we, as humans, are attracted to difficult love? LAUV: That's a really good question actually, I think it kind of works both ways. I see a lot of people who want to give something up as soon as they think they have to work for it, so I think some people are afraid to go there, I've been there, myself included. But I think you also see a lot of people, growing up I didn't necessarily understand it, but you see people and they’re like, ‘Why are you still in this relationship? You seem so crazy, and it seems like you guys are constantly fighting.’ Obviously there's a line, but I think sometimes all of that stuff to a certain extent is part of a relationship. I think to be with somebody who is always just saying yes to you, you don't always grow that way I guess. CDM: It kind of ties into that inherent human fear of being alone so you just want to be in love, regardless of whether it's easy or hard maybe? LAUV: Yeah, there's definitely some of that too. CDM: The ‘Easy Love’ video is super cool too - I like when you’re being moved by puppet strings, and also the multiple LAUVs, it’s like your own boyband. How did that video concept come about? LAUV: <laughs> Yeah, the first time I saw that last scene I just couldn’t stop laughing. It’s like, none of me know how to dance, and there were just so many of me not knowing how to dance. <laughs> But it was cool, I did the video with a friend of mine actually, we've been wanting to work together for a little while and then he heard the song. He actually came up with the idea of, instead of portraying more like in modern music videos... Removing that fourth wall and letting that symbolise in the same way that we're viewing the imperfections of a relationship, kind of like we're viewing the not so glamorous parts of filming a music video, kind of all the stuff that happens behind it. CDM: I loved the way you allowed fans to call a phone number to hear some of ‘Early Love’ before it officially came out - and you phoned some fans back, right? LAUV: I'm just starting tour today. I'm really excited, I'm gonna be calling some fans back over the next few days actually. CDM: That’s such a creative way of engaging with your fanbase - do you find things like this important to do? LAUV: Yeah. I don't really like texting very much, I think there's too much pressure to overthink. It's very time-consuming and you have too many opportunities to edit yourself. We're all human, I always have the feeling that I want to edit myself too, but the most freeing and exciting feeling is not editing yourself and just being in the moment and just being real. So, I'm excited to just be able to call my fans and just have a conversation about whatever, what's going on in their town or anything really. It'll be fun. CDM: Are ‘I Like You Better’ and ‘Easy Love’ lifted from an upcoming body of work…? Can you tell us anything about it at the moment? LAUV: Yeah, so my music is connected in a very interesting way. I have obviously been coming out with songs for a while. All I can say is I've kind of been kind of masterminding something definitely bigger than that, more of a thread. That's all I can say for now, but I'm really excited about it. CDM: A lot of your visuals seem focused around the colour blue - is there a reason for this? LAUV: Yeah, there's a couple things. The blue, I stumbled upon the idea the first time I listened to 'I Like Me Better'. When I finished it, I just saw blue. Then I was scrolling through the Internet and I found this whole thing about blue roses and their meaning of unrequited love, and I fell in love with that whole theme. From there, it kind of developed, I played around with this blue paint, and then I was like, ‘I just want to basically make everything in the world blue.’ No, but I’m going to keeping to roll with it. I also found that especially with something like love, I like to think I can talk about things and little aspects of love which are maybe not the most obvious. I sort of feel like, even the contrasting sides of it, and the typical love-colour, you think pink or red. So I thought it’d be cool and a little moodier to do the blue. CDM: Every line in your song ‘The Other’ is super relatable. I particularly love the line, "There’s nothing quite wrong but it don't feel right" - do you think this feeling in a relationship is one of the hardest, when there’s something wrong but it’s so hard to pinpoint exactly what it is? LAUV: Beyond love, one of the things that I think about a lot is that as people we end up distracting ourselves in so many ways and we get so far away from our gut feelings on things, our brain becomes so powerful, and we rationalise everything. I think sometimes it’s really important to be in touch with, even if it’s not something you can explicitly think of, just trusting yourself. You have to trust the way you feel, sometimes even if that feeling tells you to do something that’s a little bit hard. CDM: Also from ‘The Other’, “Either your head or your heart, you set the other on fire,” is really emotive, and really fitting of the human experience - how do you think people can balance their head and their heart? LAUV: I’m still trying to figure that out! <laughs> That’s the hardest thing. I feel like that’s one of the biggest things in life, is knowing when to trust what you feel in your heart versus using your head. If you didn’t think, ever, you’d probably die for some reason or another, it’d kill you. I don’t know... It’s the blind leading the blind. For me at least, it’s kind of figured out by trial and error, and seeing what works. CDM: Has it been hard for you as you’ve grown in fame? With people looking up to you for answers as you try to live your life, having the same struggles as everyone else? LAUV: It’s definitely been interesting. One of the coolest things is all my fans message me, and they’re telling me about a struggle they’re having in their relationship, or a break-up they’re going through, or something like that. I think that’s so beautiful, because that feeling for me of being able to share that with the world and not being afraid… I love that phrase of “pushing through the fear” and just saying, “I want to put this out there because it’s the human experience.” At the same time it’s still amazing that they’re sharing that back with me, I would never want to give somebody some sort of totalitarian advice on how they should live their life. All I can really offer is my experiences, and I just hope that people can take those and learn from those. CDM: In ‘Come Back Home’ you sing that doubt kills everything that you love - two years on since releasing that song, do you still relate to that sentiment? LAUV: Yeah I think with doubt, it doesn’t necessarily always kill every single thing, but it definitely can, I think not giving into it is kind of the key. I’ve discovered that you’re always gonna feel the doubt, you’re never going to get rid of it. I think when I wrote the song I was thinking, "Oh, you should get off that feeling,” but I think what I’ve learnt is that it’s not necessarily about getting rid of doubt and expecting that to go away, but it’s about embracing it and realising that when it’s doubt it’s just something that’s in your mind that’s not necessarily the reality, if that makes sense? To not let it ruin things, you know? CDM: It’s one of those emotions that can totally override everything else, if you let it. LAUV: Oh totally. It can become self-destructive. CDM: I know that your production is very important to the LAUV sound, which is rad that you’re super in control about it. How do you approach the production on your songs? LAUV: That’s a very good question. My favourite way to approach production is to not have any idea what I’m doing. <laughs> With ‘I Like Me Better’, I kind of wrote and produced that song at the same time, not from start to finish, but the main idea all just happened without me expecting it. I didn’t even know what the song was gonna be called or about when I sat down, I had no idea, it all just started to happen and one thing lead to the next. A similar thing with ‘The Other’ in terms of the production, where I actually originally had that song written and then I sat down and pulled an all-nighter in my school library and I literally just played with random sounds until one thing felt right. The next thing I know it kind of becomes like a string, a string of happy accidents, I guess. My biggest thing is just not letting myself control it, because I feel like if I can already predict what I want it to sound like, if I can already imagine, "Oh, I should use this sound," most of the time it’s not gonna be special, because I think the most magical moments come from you being taken out of your comfort zone and interacting with an experience you didn’t expect. CDM: I feel like if you have a preconceived idea of what you want it to sound like, it’s probably based on something that you’ve heard before. CDM: Your study of music technology must help with the technological side of things. LAUV: Yeah. The programme I was in at NYU was very technological in terms of learning how to build circuits and acoustics and ear-training and music theory. CDM: The sentiment of the line, “I like me better when I'm with you,” is really romantic - do you think that relationships should bring out the best in the other person? LAUV: Oh for sure, I think that it’s a huge part of a relationship. Again, I don’t want to tell anybody how they should live their life, but I find that being with somebody who amplifies your good qualities, accepts the parts of you that maybe you are insecure about yourself. I want to be with somebody who brings out the best in me, for sure. CDM: How do you think people can help bring out the best in those surrounding them? LAUV: I feel like it sort of happens or it doesn’t. When you meet certain people, you meet them and it’s like, “I feel like I’ve known you forever,” or you meet certain people and it’s like, “You’re really cool but I don’t know…” I don’t know if there’s a way to guide that. CDM: It’s super interesting that you were taught jazz guitar and learnt jazz music theory - lots of artists learn regular guitar, but jazz gives you a cool edge when it comes to using chords etc. Are you aware of this when you’re writing different melodies? LAUV: It’s funny because when I first started learning the jazz stuff when I was younger I was like, “Oh I’ll never use this.” Then for example on my song ‘Comfortable’, when I was writing that song I just started using these ideas, a couple of weird chords throughout, and I was like, 'Wow, I finally did use some of the jazz!' <laughs> I also think it becomes sort of ingrained where I like to not really think about the production, I like it to kind of happen as it happens. The same thing with me musically, I think some of that stuff just naturally comes out and that makes it really natural. CDM: If L.A.U.V. was an acronym, what would each letter stand for? LAUV: Wow, okay I’m gonna call this one out on the spot because I’ve actually never been asked this question before. It’s definitely gotta be: “Love…And…Underwear <laughs>…Vacancy.” That doesn’t make any sense. Love And Underwear Vacancy. There we go. CDM: Has your psychology minor come in handy when it comes to analysing people for songwriting at all? LAUV: Maybe. I think the reason I wanted to do a psychology minor is I’ve always been very interested in why people act the way they do and whether they’re aware of it or why they’re aware of it. So, I’m sure some of the stuff I’ve learned in class subconsciously makes me more aware of people. But even beyond that, I think if I wasn’t doing music, I would be doing something that had to do with people and psychology. I’ve just always been very interested in the way people think. LAUV: I think it’s love. I feel like love, or a lack of love. I don’t know what else it would be? I think it’d be love and fear. CDM: What was it like working on Charli XCX’s ‘Boys’? CDM: Based on the ‘Boys’ lyrics, if you could complete the sentence… “I was busy thinking ‘bout _________” with whatever comes to mind with what you’ve been thinking about lately? LAUV: I’ve been thinking about Asia, because I’m going on tour there. I’ve never been to Asia before so I’m just like so, so excited. CDM: What was it like when you started co-writing with other people, and writing for other people? Was it something you consciously decided to do? LAUV: It’s been an interesting journey for me because growing up I wanted to be an artist as a kid. When I first started writing songs, that was why I was writing songs, and then when I turned eighteen and went to school I thought maybe it would be more realistic for me to try and write and produce songs for other people and stay out of the spotlight. So that was my focus for a couple of years and that was my main mind-frame. So I was doing that for a couple of years and then I wrote ‘The Other’ and that was the first song I had written in so long that was really not me trying to write a song for somebody else, it was just about me writing honestly about my life. So the interesting thing for me is it kind of showed me when I stepped away from trying to do something for somebody else, that was when stuff started to click for me. It shifted for me because then I still continued to write some songs working for other artists, but my approach was more honest than it was before. CDM: Is there anyone you’d love to write for, that you haven’t yet? LAUV: Yeah, I would love to work with Chris Martin from Coldplay. I don’t know if I could take the honour of writing for Coldplay, that’s huge… But I would like to just write with him for me or for us together. CDM: What do you think the best pop song of all time is? CDM: We spoke to Dua Lipa about writing with different people last year, and I always find it interesting talking to songwriters about the process of working with different people - how do you approach going into a session with people that you haven’t worked with before? LAUV: That’s a good question. I think it depends on if I’m working with a writer or a producer or another artist. My favourite thing that I love doing is if I’m in a room with somebody, to just start from scratch. Some people like to come in with ideas already made and to go from there, but I find one of the most interesting parts of-- especially with getting to meet someone for the first time, if you really want to get to know them you want to start from the beginning and sit down and know what they think about and why they think about it. I kind of maybe think about it too, existentially. CDM: Are there some people who you have an instant chemistry with? Do you know what the writing session will be like when you first meet someone? LAUV: Yeah, a lot of times you do. Just like when you meet somebody in a party or at a bar and you just click with them right off the bat. It definitely makes it instantly fun, but I’ve also had situations where I didn’t know, the first 75% of the session we aren’t quite clicking, and then all of a sudden something happens and we’re best friends and we have all of these amazing ideas. So I guess you just never really know and you’ve got to just be there and be present and see what happens. LAUV: It’s just that magic. I think the difference is a little bit on a scale, you just know it when you see it, you know? Those songs that you listen to and you love… There are so many genres with good songs to me, but I think the difference between a good song and a great song is just that you can’t stop, you just keep on going back to it and you go back to it, you want to tell all your friends about it, it’s that kind of a feeling. LAUV: For me, it’s about coming to terms with being comfortable with being vulnerable with people and sharing everything that I’m feeling, even if I’m afraid that it might make me look scared or it might make me look insecure or whatever. I want people to feel like they don’t have to hide the way they feel, they don’t have to bottle it up, or have to be afraid of it, even the negative things. You shouldn’t be afraid of your negative emotions, you should be able to live with them and realise that those feelings, they’re there. I think a lot of people are afraid of a feeling because they think, “Oh if I feel this way than that absolutely means this,” but I don’t think things are that black and white. People shouldn’t be afraid of that and shouldn’t be afraid to be vulnerable. CDM: We’ll let you go now, but thank you so much for taking the time to talk with us. Hopefully see you in New Zealand next year! LAUV: Thank you so much for taking the time to talk with me. Definitely see you in New Zealand next year!